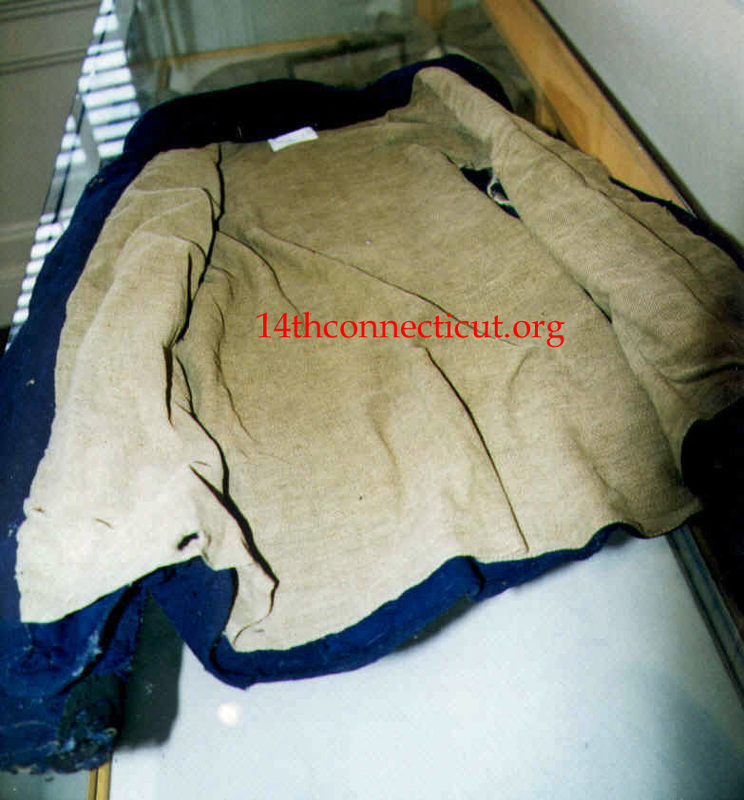 Overall view of the Federal Overcoat. Note: All photographs taken outside during the afternoon on a summer’s day affecting actual fabric color. 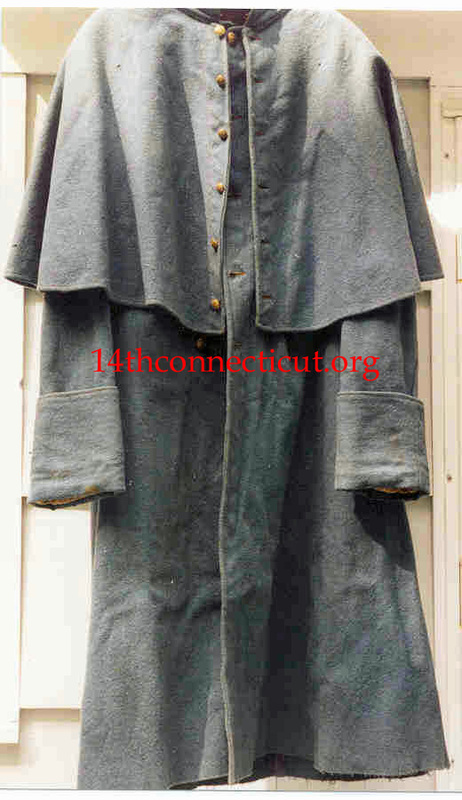 The coat served as the prototype for the County Cloth Federal Overcoat kit. Rear belt detail. Note only one button is present instead of two. Regulations dictated one button on the adjustment belt. 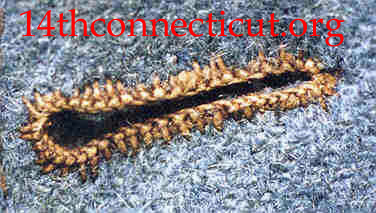 All buttonholes are hand worked keyhole style reinforced with cord or gimp. 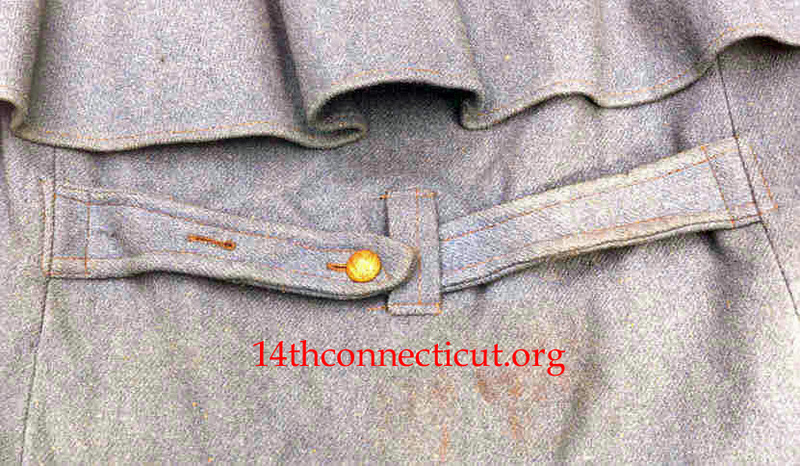 The entire coat is machine sewn with the exception of the buttonholes, back belt reinforcements and the sleeve headings. Cuff detail. The sleeve lining is not whip stitched down along the edge of the cuff, rather, it is fastened at the seam where the cuff and sleeve meet. This process saves the tailor an incredible amounts of time. Sleeve seam and the shoulder seam. 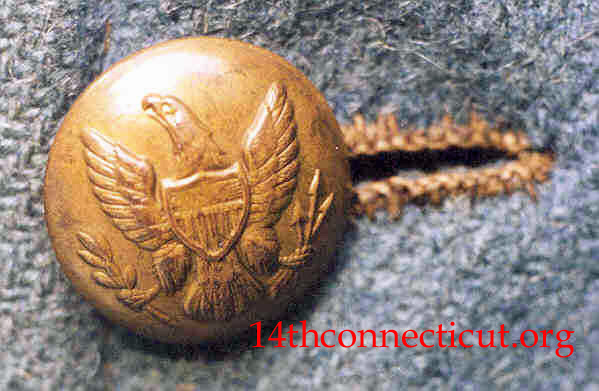 Button hole detail – extremely well wrought. 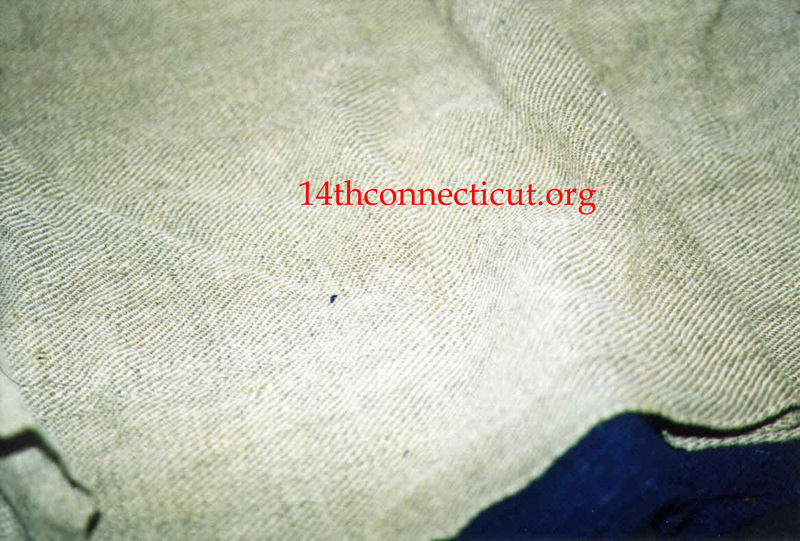 Sleeve lining detail with inspector’s mark. 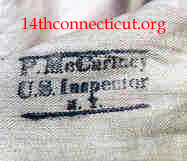 Inspector’s mark detail. P. McCartney \ U.S. Inspector \ N. Y.
Rear vent opening- facing detail. Notice that the facing is pieced at the top. This economic practice occurs again on the facings along the coat’s front edge. Trapezoidal, white cotton drill reinforcement patches are whip stitched over adjustment belt ends. The coat lining is barely visible along the top edge of the photograph and consists of loosely woven brownish green wool baize. 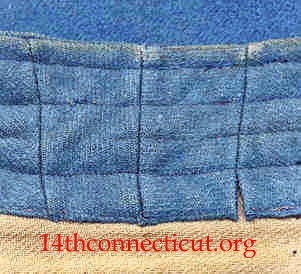 The lining stops at the waistline and terminates with a selvedge edge. 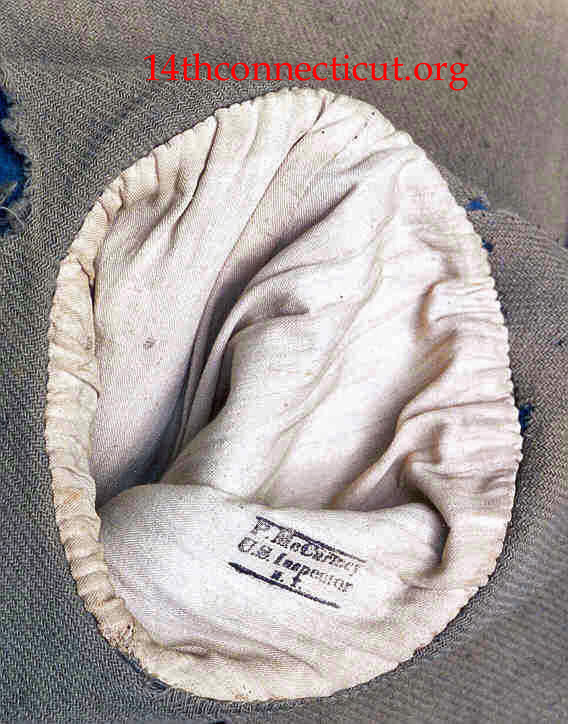 Detail of the collar, lining and sleeve lining. Another detail of the collar. 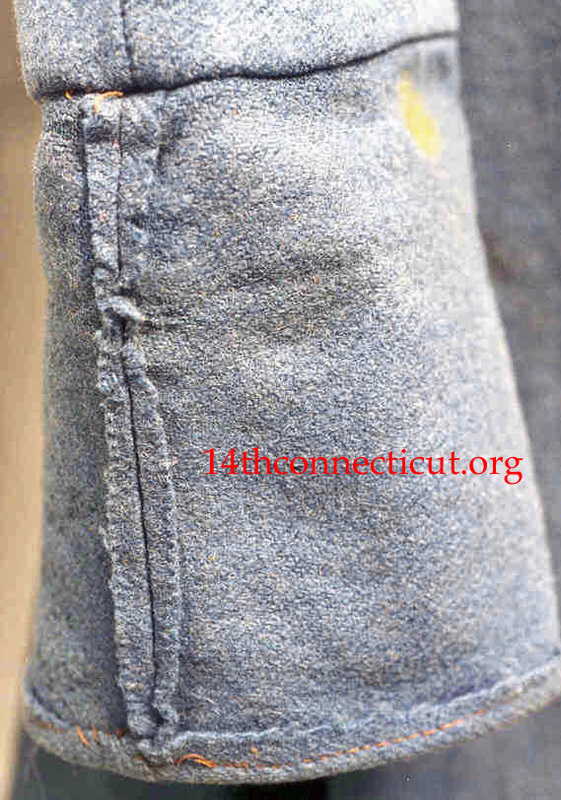 Notice stitching used to attach collar to the coat lining. The collar is interfaced and features two pairs of hooks and eye at the front. 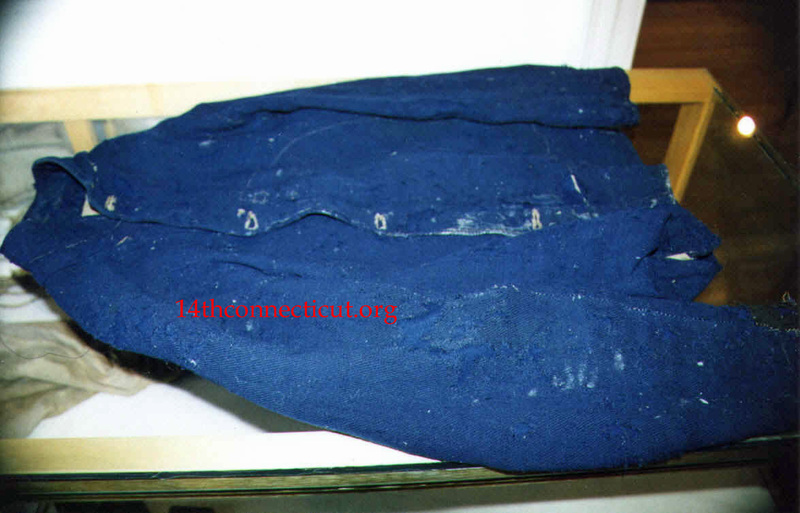 Overall coat (has fairly extensive moth damage and many repairs). Buttonhole stitching, pocket stitching and facing stitching. 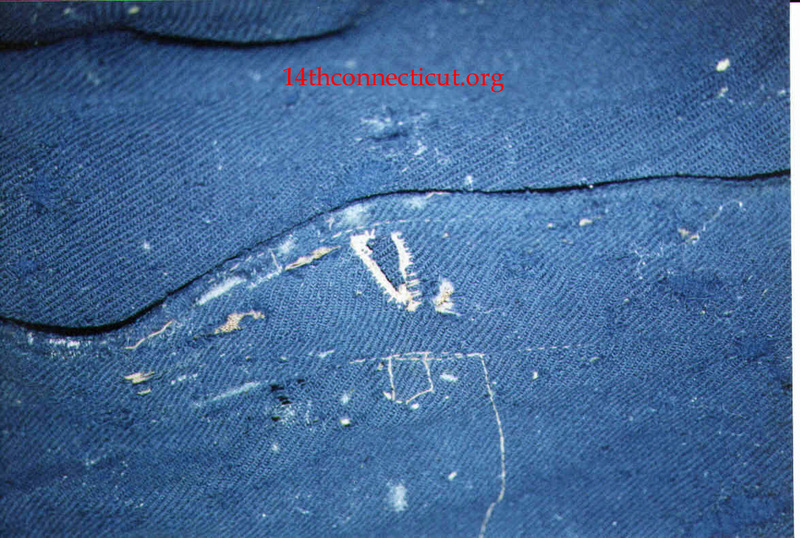 Moth damage has exposed some of the interfacing material. 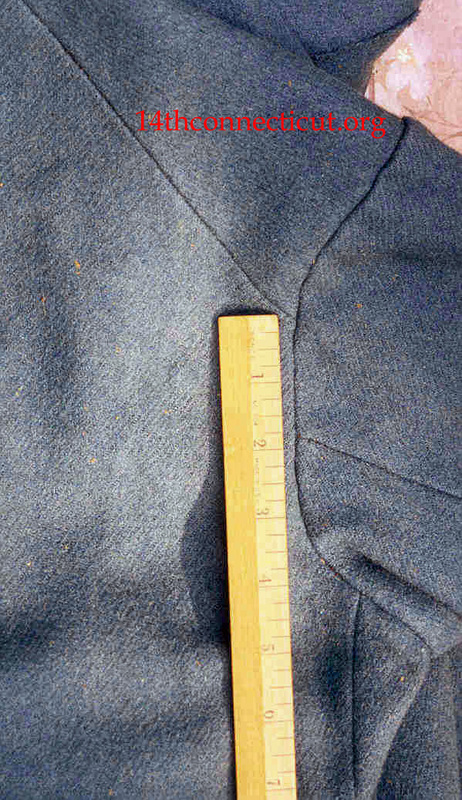 Collar detail (collar is turned up), lining visible. 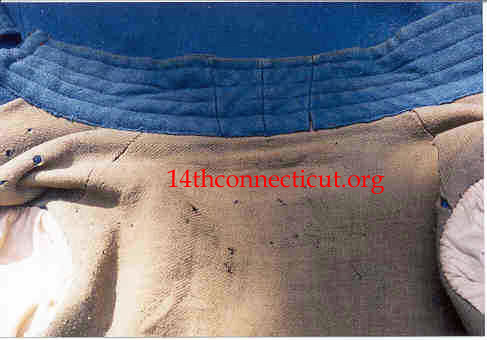 Inside of coat, shows lining, which is a medium brown. Close-up of lining, bottom edge (lining is a bit more brown than photo depicts).